Remember when I bought those limited edition Andy Warhol soup tins? Well, I’ve made my way through three of them already (mostly begrudgingly – there aren’t many ways to dress up tinned tomato soup) and here they are, acting as glorified pen and paintbrush holders. I managed to avoid spilling any soup onto the tins by wrapping them in tea towels while pouring and washing them. I also ran the back of a spoon around the rims to push them up and stop them from cutting into things (like stray fingers and hands for example). 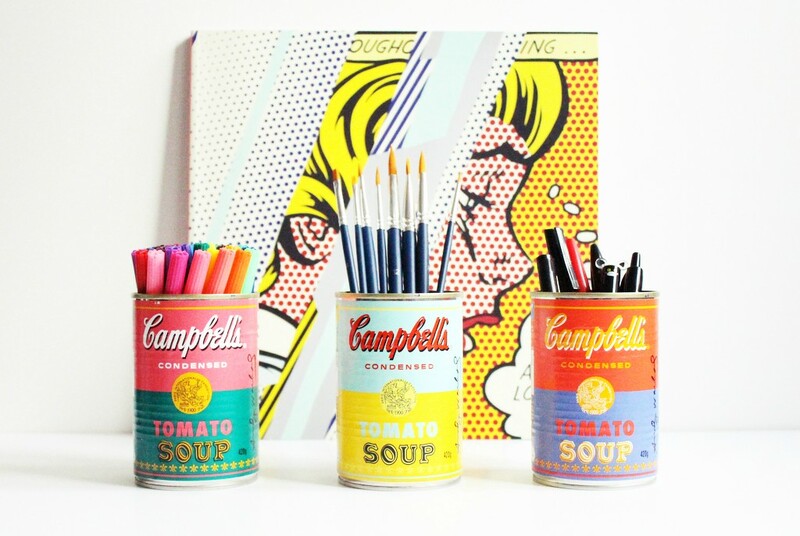 Now these little bits of everyday Pop Art make for quite the colourful additions to my desk. 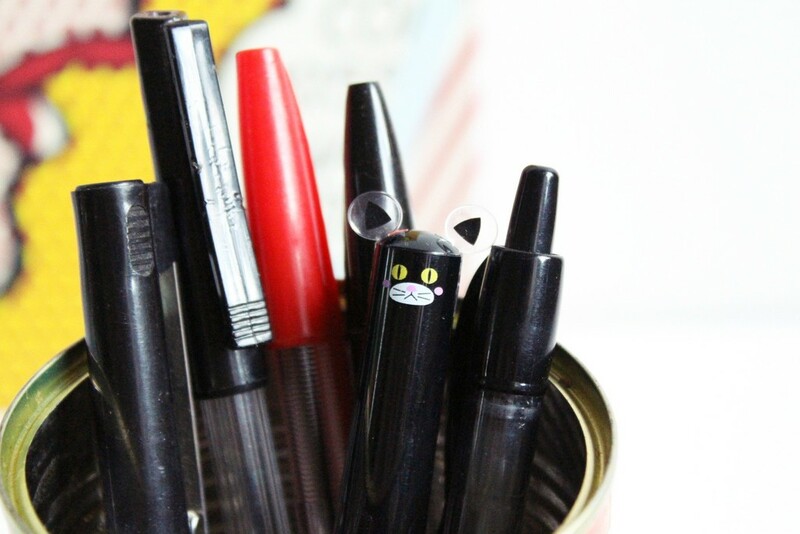 Yes, that is a cat pen. I love it when friends bring me back gifts from Japan. 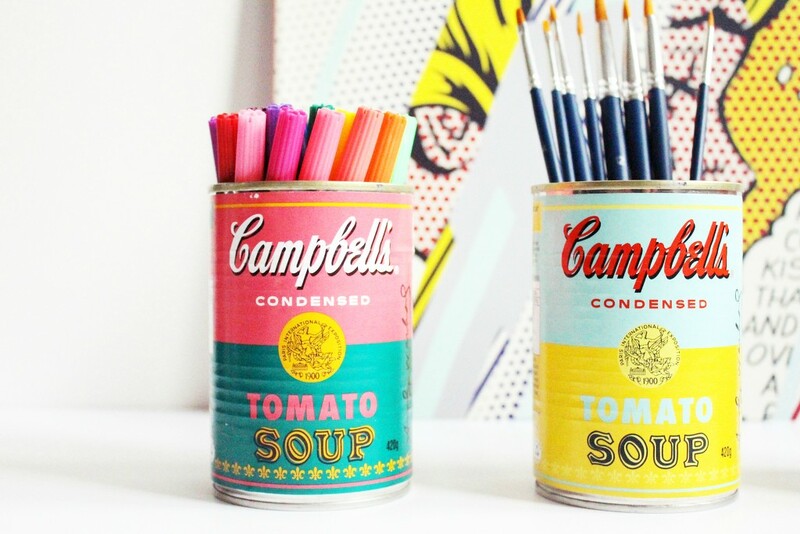 To mark the 51st anniversary of Andy Warhol’s iconic Campbell’s Soup Cans prints, Campbell’s have released four limited edition Pop Art inspired designs for their cans of condensed tomato soup. The limited edition cans were released in America last year but they have only just been made available in Australia. You can get them from Woolworths stores and they’re selling for around $2. I don’t particularly like tinned tomato soup but I do love me some Warhol. While I’m happy with them brightening up my pantry for now, I think they’d eventually make for some pretty nifty pen holders. Here’s hoping I can empty and clean the cans without covering them in tomato soup. Since learning that the Rijksmuseum have posted most of their art collections online, I’ve spent hours browsing the site and marvelling over the works of Rembrandt, Vermeer, and van Gogh, among others. In an unusual move, especially in this day and age of copyright laws, the museum allows you to download high resolution images of art works at no cost via the Rijksstudio part of the site. Since the internet makes it difficult to control the use of images, the director of collections explains that they’d rather have the public use good quality images of art works rather than bad reproductions. Fair enough. Despite having several masterpieces at my finger tips I, of course, had to go and download pictures of cats. Because we all know that’s what the internet is really for. I was having a bit of a spring clean the other day and found an unused canvas amongst all my junk. Armed with some pretty new tubes of paint, I decided to flex a creative muscle or two and create my own decorative canvas art. 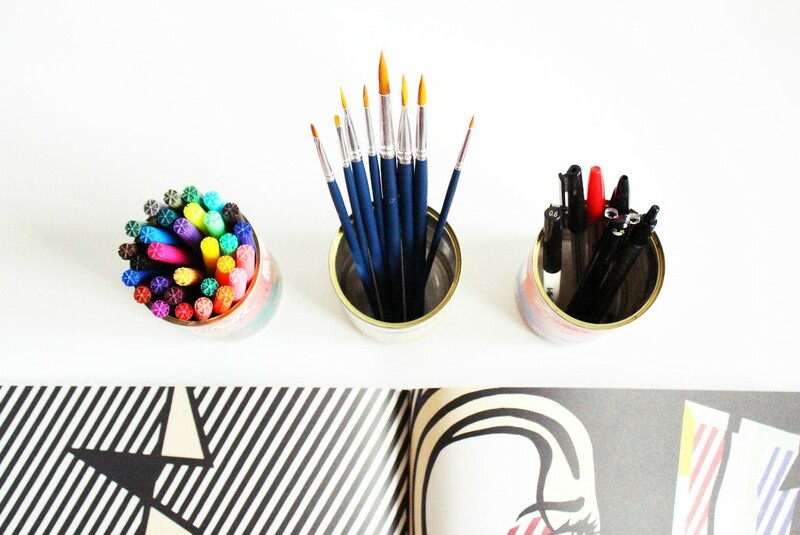 It’s a little bit Pop Art and incorporates my obsession for stripes and glitter. It’s not a hard project, just time consuming as you’re constantly waiting for different layers of paint to dry. I started by painting the canvas pink and then following with strips of red, blue, and white. I marked the lines up with a pencil and ruler, and used masking tape to create clean edges while painting. After the paint was all dry, I then painted a strip of glue on and sprinkled glitter over the top. After the glitter dried, I shook off the excess flecks and sprayed the canvas with a gloss sealer. Now I’ve just got to find a place on my wall that needs brightening up. Yesterday I visited the Gallery of Modern Art to see their latest exhibition, the 7th Asia Pacific Triennial of Contemporary Art (APT7). The exhibition showcases the works of 75 artists and artist groups from the Asia Pacific region and is touted as “the only major exhibition series that focuses on the contemporary art of Asia, the Pacific, and Australia”. It was a great way to spend a mostly overcast day (much better than getting rained on while queueing for brunch earlier in the morning) and, like every other exhibition I’ve visited at GoMA, it did not disappoint. Whether it was the visual wonder of Raqib Shaw’s Paradise Lost series or the mesmerising effect of Daniel Boyd’s A Darker Shade of Dark #1-4 video installation, there was a never-ending array of of artworks to lose yourself in. These are a few photos I snapped on my phone, and there are also a few more on my Instagram. If you’re in Brisbane and haven’t already visited APT7, I suggest you hop to it. You’ve got until April 14.